Buy online our clothing and fashion fabric Organza Garza Coupè —-02. 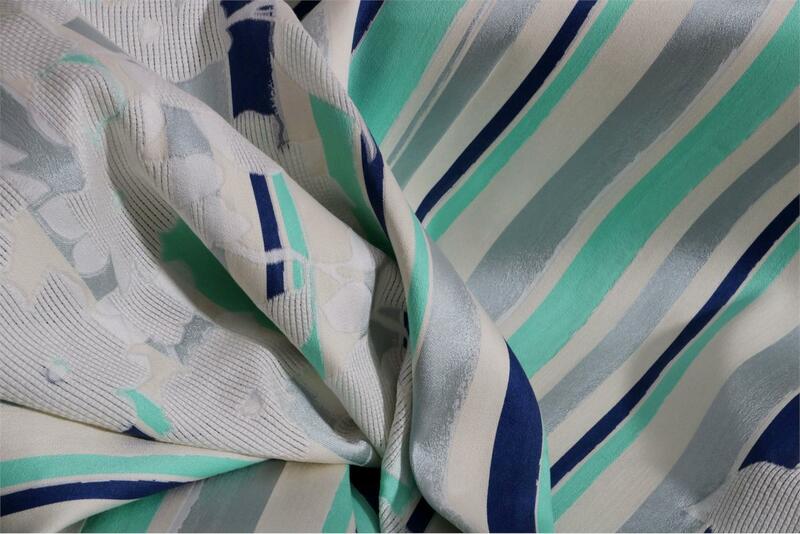 Lightweight, transparent organza fabric with a coupé floral pattern and blue, green, silver and white crossbands. Suitable for dresses and dusters. Blue, Green, Multicolor, White Mixed Flowers Jacquard fabric for Dress, Light Coat.